Home / News / Trending Article / Trending Events / Trending News / Trending Updates / Updates / Viral / Viral Article / Viral Events / Viral News / Viral Updates / WOW, congrats! Cayetano asked a question Western Media couldn't answer!... ~ MUST WATCH THIS! WOW, congrats! 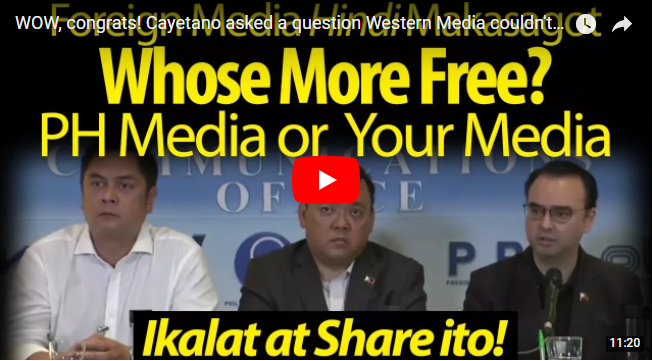 Cayetano asked a question Western Media couldn't answer!... ~ MUST WATCH THIS!